As senior executive vice president and global marketing officer, Catherine Coughlin oversees AT&T brand strategy, advertising, corporate communications, events and sponsorships worldwide. Cathy began her communications career in 1979 when she joined Southwestern Bell Telephone Company in her hometown of St. Louis. During her over 30 year career, she has held officer roles in sales, marketing, operations and advertising for AT&T. 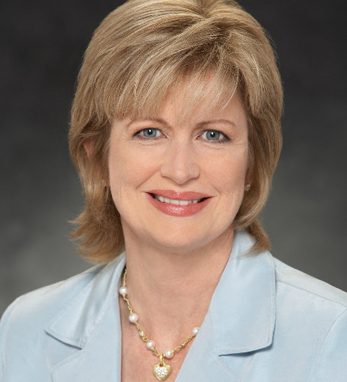 Prior to her current role, Cathy was president and chief executive officer of AT&T Midwest. Throughout her career, Cathy has been committed to serving the community. She serves on the board of directors of several organizations including Northwestern University, the Girl Scouts of the USA and the Dallas Women’s Museum. She also serves on the board of trustees of the American Film Institute.